Bartercard strive to make your financial life easier. That’s why when it comes to ensuring your accounts are up to date, we partner with both MYOB and Xero. You can now get bank account transactions from Bartercard sent into Xero every month. It’s easy to apply for direct feeds, simply add your accounts in Xero, download the application form, then sign and email it to us. Your feeds will start in 4 weeks. 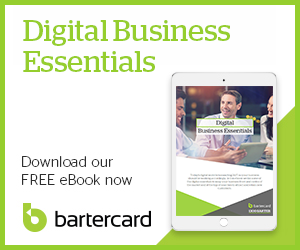 For more information on how you can get started, head across to the Bartercard Xero Business Help Centre. Make reconciliation easier and get back a serious amount of time when you link your bank accounts and credit cards using the best bank feeds. Your account and transaction data is delivered accurately and securely to your MYOB accounting software.